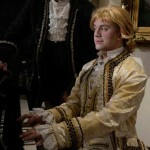 February and March: I performed with World’s Stage Theatre (Milwaukee) in Amadeus, playing Mozart. Fischer later gave my performance an honorable mention in his list of the top ten Milwaukee performances of 2014. Good Milwaukee debut. May: Unrehearsed Shakespeare moved to Mary’s Attic, where we performed Romeo & Juliet for the first time (directed by Zack Meyer). 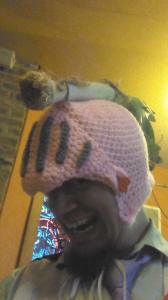 I performed as Mercutio to some of our largest and especially most appreciative audiences to date. June-July: The Right Brain Project’s Labours of Love opened in late June, featuring diverse pieces and musical performances from local artists. 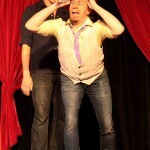 The centerpiece of this project was a performance of Love’s Labours Lost, which I directed. 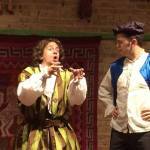 The Unrehearsed Shakespeare Company finally brought Workshops back to Chicago. On July 15, 17, 22, and 24, students learned the basics of the Unrehearsed technique, as well as some pointers on how to focus your preparation, how to be a good scene partner, and how to approach verse with a sense of discovery. JULY 15: BASICS: Intro to the Unrehearsed Rules and Guidelines. JULY 17: BOOTCAMP: Incorporating all the Rules into small scenes. JULY 22: STORY-TELLING: Learn to actively listen and work as a group. JULY 24: MASTER’S COURSE: Work on full scenes with veterans, and join a discussion with experienced performers on the best methods. –Dr. Jonathan Shailor, Founder and Director, The Shakespeare Prison Project: A Partnership Between the University of Wisconsin-Parkside and Racine Correctional Institution, Sturtevant, Wisconsin. 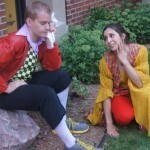 July-August: I spent July in Milwaukee directing Twelfth Night, the inaugural production of the newly formed H+D Productions, in collaboration with Story Teller Theatre; performed outdoors and hosted by Saint Thomas More High School. CAST: Hayley Cotton, Ethan Hall, Stuart Mott, Eric Scherrer, Sasha Sigel, Shanna Theiste, Tawnie Thompson, Bridgette Well, Glenn Widdicombe, and Rachel Zembrowski. Jeff Grygny also made brief mention of Twelfth Night during his entry for the Examiner on Milwuakee’s recent upswing in risk-taking theater. 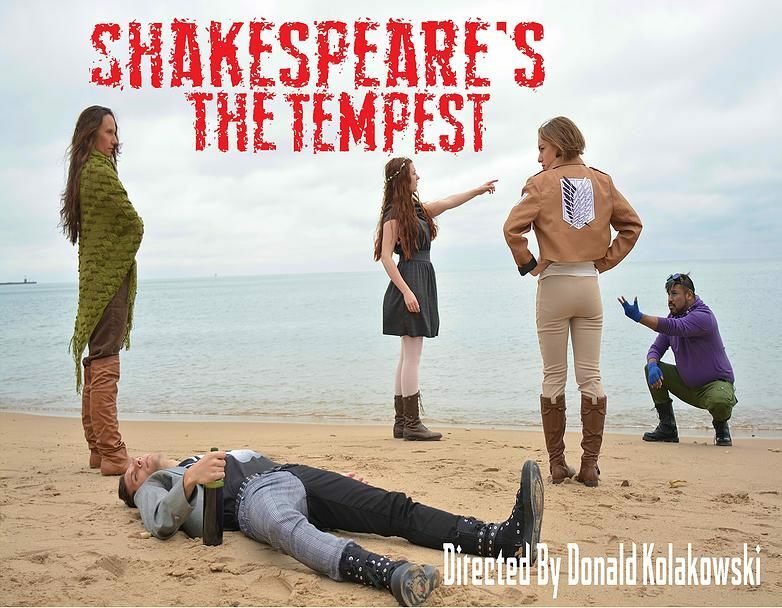 August: The Unrehearsed Shakespeare Company presented our Double Feature: The Hour of Errors (an hour-long cutting of Comedy of Errors), directed by Emma Couling; and Double Falsehood, the allegedly-Elizabethan play of dubious origin, directed by Danny Pancratz. September – December: I joined the Shakespeare All-Stars for their Fall 2014 season. 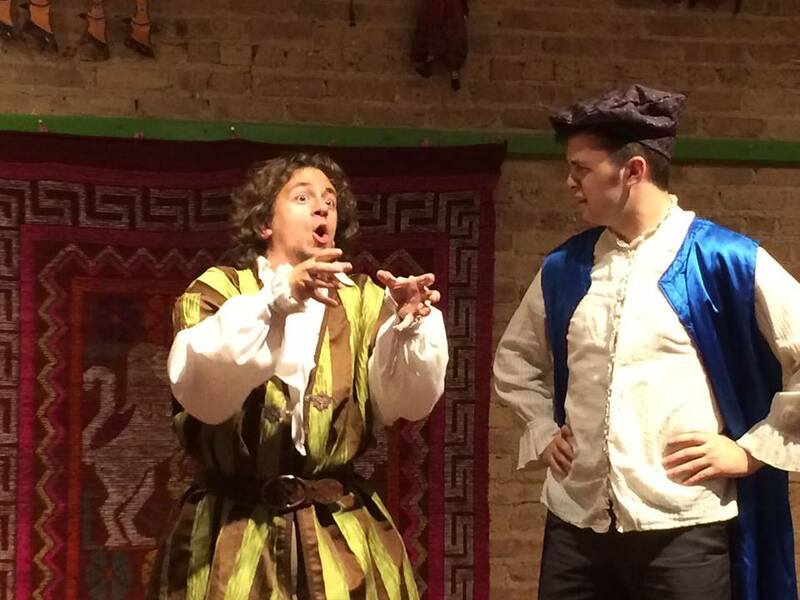 The Shakespeare All-Stars presents accessible and interactive vignettes from the Bard’s most popular works to schools and theaters in the Chicagoland area. I did not scorn to wear the leek! October: The Unrehearsed Shakespeare Company wrapped up its second full season with Henry V. We few, we happy few, may sit amidst the action and the passion. War! Romanticism! Nationalism! Leeks! Henry V has it all! 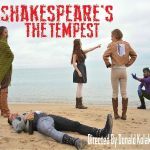 November: I acted as text coach for The Cuckoo’s Theater Project’s production of The Tempest. October-November: I rejoined Accidental Shakespeare for their sophomore production of MacBeth. Once again, I found myself playing Duncan and the Porter, but with a little Old Man and Doctor thrown in for good measure.